With the philosophy of eclectic blending and an indomitably ever-curious spirit, TEALEAVES is the blender of choice for five-star hotels, Michelin chefs and for those who enjoy the luxury of tea at home. TEALEAVES has a global reputation for quality, complex palate and aromas of its blends. We keep only 1% of the tea leaves presented to us from the world's highest grade gardens to ensure that we stay your cup of tea from generation to generation. Our never-ending quest to make the perfect cup of tea rests not on what we give, but what we get back. If only for a moment, smiles are a little wider and cares are a little lighter, then our pursuit of art + beauty has meaning. Royal Crown Derby hand-makes the highest quality English fine bone china in Derby, England. With several generations working proudly side-by-side, craftsmanship is handed down from grandfather to son to grandson, from grandmother to daughter to granddaughter. 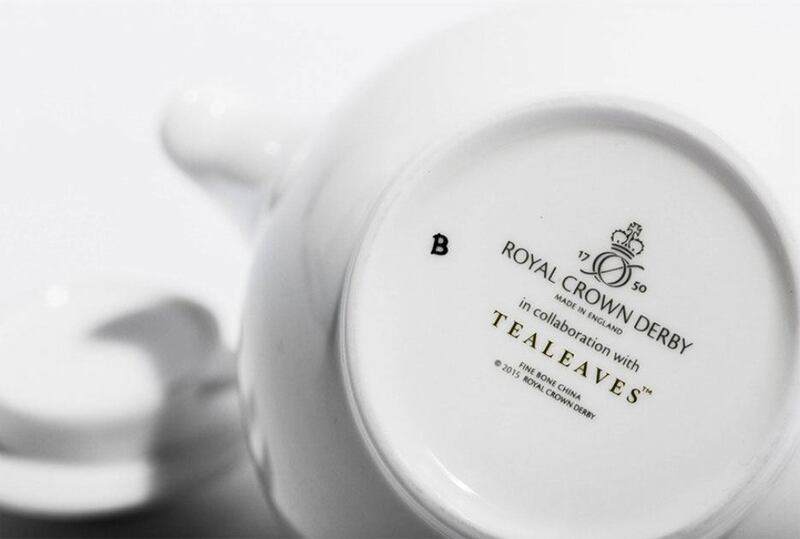 Since 1750, Crown Derby has been the lead maker of fine bone china in the world. In 1890, in a rare gesture, Queen Victoria bestowed the honor of adding "Royal" to the brand. With over 200 years of heritage, Royal Crown Derby appears broadly in history from serving first-class diners in the Titanic to gracing the tables of Downton Abbey's Dowager Countess of Grantham.